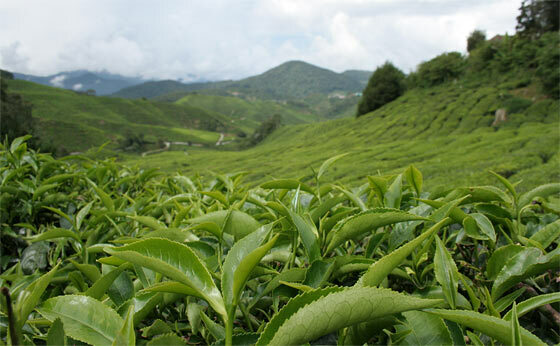 All ‘real’ tea is derived from the Camellia sinensis plant, a shrub native to China and India, and contain unique antioxidants called flavonoids. The most potent of these, known as ECGC, may help against free radicals that can contribute to cancer, heart disease, and clogged arteries according to Louise Chang, MD, a contributor to WebMD Magazine. Made with fermented tea leaves, black tea has the highest caffeine content and forms the basis for flavored teas like chai, along with some instant teas. Studies have shown that black tea may protect lungs from damage caused by exposure to cigarette smoke. It also may reduce the risk of stroke. Black tea has lower concentrations of polyphenols than green tea; but their antioxidizing power is still high. In an animal study, those given antioxidants from oolong tea were found to have lower bad cholesterol levels. One variety of oolong, Wuyi, is heavily marketed as a weight loss supplement, but science hasn’t backed the claims. Black tea has lower concentrations of polyphenols than green tea; but their antioxidizing power is still high. All these teas also have caffeine (although less than coffee) and theanine, which affect the brain and seem to heighten mental alertness. The tea shrub (Camellia sinensis) grows 4-6 feet, and can be grown outside in zones 7-9. Pu-erh tea: varies (actually needs some air exposure, which makes it improve with age.) Some pu-erh teas are 30-50 years old. Because there are limited regions where coffee can be grown in the USA (only the Kona coast on the island of Hawaii) and very limited regions where cafeinated tea can be grown domestically in the USA, it’s important to store and rotate these products. There is only one other natural source of caffeine in the USA i.e. the yapon holly, but it can easily cause vomiting when consumed (it’s a mestizo Native American drink). Green coffee beans can be stored and then roasted as needed and that extends the shelf life. Lots of herbal teas do have health benefits and this will be a way to medicate your family and loved ones during a collapse. Preppers should be researching that too. While those in border regions with Mexico might eventually develop trade networks or boats through Cuba post-collapse, there will be almost no coffee for trade. Green tea has excellent health benefits for alertness and it’s been studied over the last twenty years in the relatively new field of nootropics (mind enhancing medicine). To extend your tea and coffee, you might consider learning how to cold brew these products. Cold brewing coffee or tea increases the available caffeine but decreases the bitterness. Because this also means not having to start a fire for brewing them and decreases any chance of spreading cooking odors, those are also good reasons for learning them. By doing so you make more product that packs a stronger punch at a reduced cost, all good things to learn now with a bad economy and to prepare for the future. Naturally pine needle tea will become a regular beverage since that was a primary means of avoiding scurvy on the pioneer. Getting your family used to it now it way easier that trying to teach them later when the SHTF. Consider learning about sumac tea as well. Sumac tea produces a citrus-like beverage and it’s loaded with tannins. Not only can you drink that to quench your thirst, but you can apply that daily to your feet. Tannins toughen the skin. It’s the way that an ingrown toenail is most often treated. By applying the sumac tea, you will slowly begin toughening up the soles of your feet, a very helpful preparation for all of the walking by your family members. It’s old knowledge that’s been lost, but could literally help everyone especially those entering the military for basic training. On a side note, acorns also produce tannic acid when brewed. When steamed the same acorns produce a kind of oil that’s excellent as an emolliant. That means the humble oak tree both can toughen the skin as well as soften it too. In a pinch since acorns have a season, you can make a poultice of fresh oak leaves to do the same thing. Since alertness is vital post-collapse, it would be wise now to store some inexpensive caffeine tablets. An old Native American trick for walking up at a set time is drinking lots of water at bedtime based upon your normal processing times for micturation. Since you might now be able to wake up due to weariness and in the absence of using a loud alarm clock which might give away your position, then this old method might help you but you still might need the caffeine tablets to get you going. While we drink coffee or tea to “wake up”, in reality the best time to consume it is after 9:30 am as your energy flags, not first thing when you wake up. You have to learn to maximize your supplies post-collapse. Spent coffee grounds or tea leaves work well in the compost pile as well as being enjoyed by worms. It synergestic and you might be harvesting worms as a food source too. When I have to get up early, I purposely drink extra water just before going to bed, as that urge to “go” wakes me up better than any alarm clock. I have been known to sleep through an alarm clock going off. Drinking tea will also give you mental alertness without the jittery feeling coffee will. Studies have shown that drinking tea allows you to focus more clearly on the task at hand because it also has a calming effect that coffee does not. I wish I could reference the study that I read but I recently lost all of my data on my computer due to a virus. I found that if I added a fair amount of cinnamon to my coffee that It not only improves the flavor and negates the need for a sweetener but the spice also has a calming effect which keeps my blood pressure from rising and eliminates coffee jitters. Yes, that extra alertness is believed to the organic component theonine within the tea. Modern pharmacology is built upon the idea of active ingredients within natural substances and then often those once isolated, are then duplicated as “drugs”. The problem with that theory is it might in fact be the synergistic composition of many thousand phytochemicals in tea that results in the feeling of alertness. 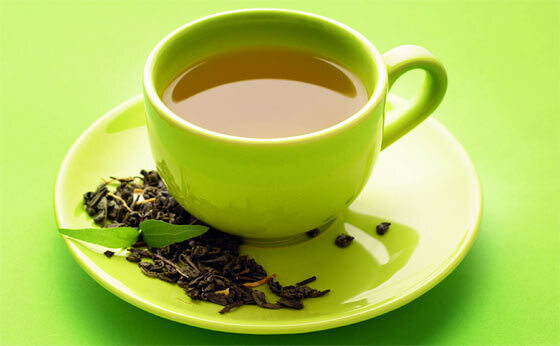 Regardless, tea both in black/green tea as well as other herbal teas play vital roles medicinally. Post-collapse, we won’t have a lot of very common pharmaceutical compounds. Even if something like a pandemic occurs, and following that the survivors could harvest supplies, the efficacy of such “drugs” will diminish due to expiration dates and the effects of a loss of humidity and temperature control. That means a good prepper is considering all of the pharmacopia that exists in their wilderness, forested, and meadowlands that our ancestors utilized. It also means careful cultivation of such substances as we can in order to best treat illness and wounds. Tea has an established role in introducing these herbal remedies into the body. Sadly there are not many stimulants that can be safely ingested. While cocoa does have caffeine within it, unfortunately it doesn’t grow in the continental USA. To mentally stimulate yourself, there are two known essential oils that will improve memory: rose and orange oil. The former can be found all across the Eastern side of the USA and can be extracted from wild and domestic roses. The latter can be grown along the Florida coast as well as parts of California. Since the limbic system (in your brain) is tied to memory as well as olfaction, both can be “sniffed” while studying to increase cognition and recall. It’s also said that both mint and cedar can also assist. In any case the oils are ingested but act as a way to lock in the production of memory, perhaps by increasing dendrite formation. These are the ways in which one synapse fires in the brain and then cascades with a new stimulating firing of another synapse. Since hot water will be an eternal problem, a bracing splash of cold water will also promote alertness. Much of the problem with alertness under post-SHTF conditions will be from low blood sugar. If you’ve seen any wilderness reality shows, a primary issue is locating both adequate calories as well as replentishing glycogen. Few people actually understand what plants can be consumed in the wild to boost your blood sugar. Smart preppers will be both cultivating and harvesting from wild edibles as well as dehydrating and preserving them. A lack of adequate blood sugar levels to a spoiled citizenry used to abundant sugar will result in lethargy as well as from greatly increased work. Because one has limited options collecting such things from mid-November through mid-March (other than maple syrup) then it’s vital for preppers to carefully plan how much sugar and sweeteners to store. Look at any good prepping book for food resources and you’ll be shocked at how much sugar and the like are recommended. When the coffee and tea runs out, then many people will experience terrible headaches for up to two weeks. While that is a general nuisance it also makes it difficult to troubleshoot health conditions since headache is a common symptom. Save that tea and coffee. A smart herbalist or medical practioner knows that caffeine potentiates many other drugs. That’s why Excederin used to have caffeine in it along with aspirin. This factoid can sometimes be used to help create a loading dose effect in pharmacology to accelerate the effectiveness of some medicines. That stimulant might be needed for something other than waking up in the morning.